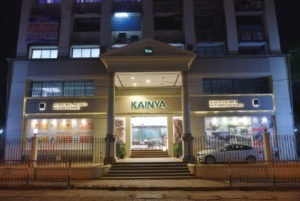 Kainya’s newly renovated showroom at Mumbai’s Swami Vivekanand Road in Malad West, spread over 6,000 sft, aims to make shopping a delight. Set up first in 2000, the large well lit showroom with a huge lobby displays thousands of products. The showroom has been divided into zones to showcase specific product categories, viz architectural hardware, locks, furniture fittings, bathroom accessories, modular furniture – kitchens and wardrobes, kitchen appliances, etc. Additionally, it has Bosch, Siemens, Franke And Assa Abloy (Yale) zones. The outlet is managed by a team of technically sound, groomed sales persons wearing company colours. 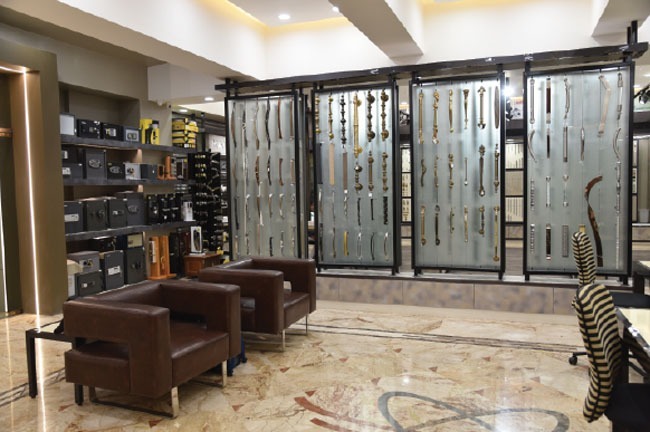 “We renovated our showroom in 2017 and have specific zones to showcase quality products in order to keep pace with the requirements of our industry partners and customers,” says managing director Arjun Kainya.